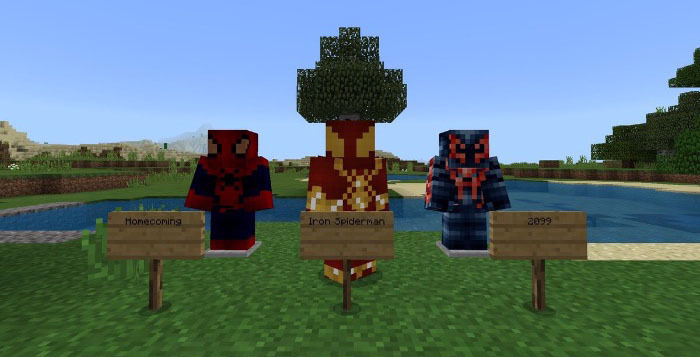 This add-on introduces a bunch of new Webshooter items to Minecraft which each work a little bit different. One of them is a weapon which can be used for killing mobs, and the other item lets you teleport instantly to any location that you want to go to. 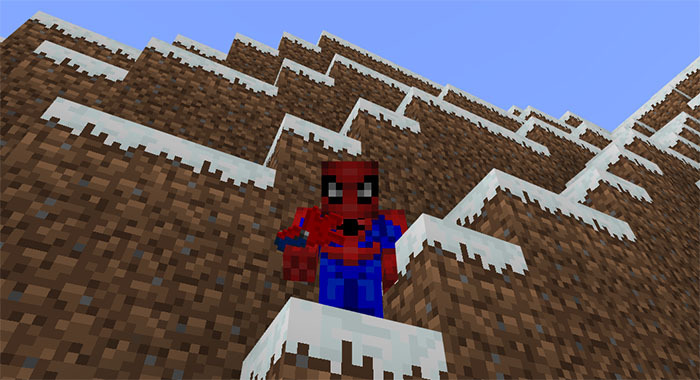 All of these new features are based Spider-Man in the Marvel universe, so you should definitely download a Spider-Man skin in case you want to use this add-on. 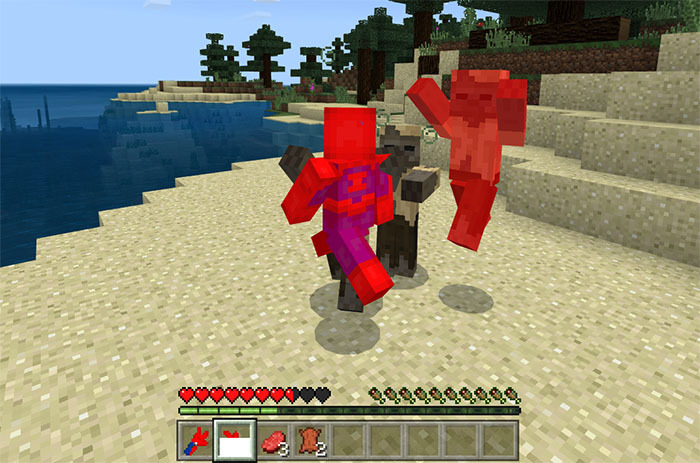 Both of the new items added with add-on replace two already existing items in Minecraft. You can either obtain them by using the creative inventory, or you can craft them using their vanilla crafting recipes. Webshooter Attack (Replaces Fishing Rod): Shoot web at your enemies. Useful for both long and close range battles. Deals 5 heart damage per shot. 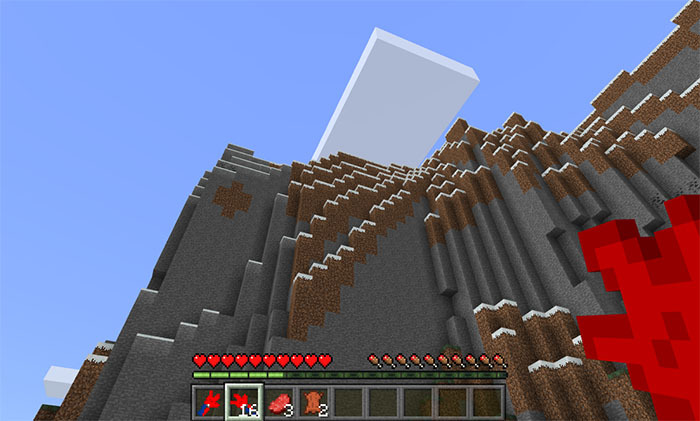 Webshooter Swing (Replaces Ender Pearl): Teleports you instantly to a new location. There is a small secret feature included with the add-on, but that we’ll let you find by yourself. (It doesn’t affect the gameplay.) It supports all languages in Minecraft. Webshooter Swing: Aim the item wherever that you want to go and use the item to teleport. For example, here I showcase how I reached almost the top of the mountain. Webshooter Attack: This item can be used for quick and efficiently eliminating hostile mobs in your world. As it replaces the Fishing Rod it has similar functionalities in terms of usability. You cannot redistribute or re-publish this addon or any of my creations to any site / place without me being credited, without asking any permission to me, and without the original source where you got this addon (mcpedl.com, keyyard). You do not have the right to rename and edit this addon or any of my creations. Then, claim it as yours and upload or share the edited version into your site. You are not allowed to create your own direct download link for your websites, videos, and etc. It must be redirected to the original website of the addon (mcpedl.com, keyyard.ga). You can get a .ZIP file for this add-on here.